The French Fifi Awards will be presented on April 10th at the Salle Wagram, in Paris. For the fifth year running, I was a member of the jury for the Prix des Experts, along with fellow bloggers, journalists and evaluators. This year there are two awards, one given out for niche, the other for exclusives lines by big brands. 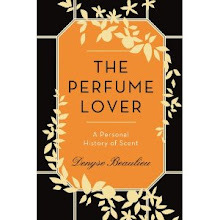 Jurors were sent a first list of 86 fragrances in the first category, 21 in the second – far short of the 395 niches fragrances tallied up by Michael Edwards in Fragrances of the World, but a fair round-up of products available in France in more than a single point of sale. We were each asked to pick three fragrances for each category, with 5 points for the first, 3 for the second and 1 for the third. According to Sabine Chabbert, deputy director of the Fragrance Foundation France, 58% of the votes singled out 5 fragrances in the big brands; in niche, the 5 short-list selectees garnered 38%. We met up in the offices of Cinquième Sens to blind-smell the 10 finalists, with two sets of blotters: one dipped earlier in the day, one freshly made up for each scent. Again, we were asked for three picks in each category, with the same points system as in the first round. Here are the finalists. The winners will be announced on April 10th (or on the 11th if the evening has been too… bubbly). Which would you vote for in each category? The person who guesses the two winners correctly will win one sample from each shortlist, out of my personal decants (but bear in mind I don’t have Gris Montaigne, Saffron or Eau du 34). If there is more than one correct answer I will do a draw. You have up to April 9th to enter. 10 fragrance evaluators : Julia Devismes (Drom), Célia Dunand (Takasago), Lydie Deneiple (IFF), Maryline Bonnard (Cinquième Sens), Naila Hamayed (Givaudan),Peggy Robert (Mane), Anne-Marie Benoît (Firmenich),Caroline Catherine (Symrise), Sophie Villerette (Robertet), Hélène Jamin (Fragrance Resources). 5 bloggers : Denyse Beaulieu (Grain de Musc/Citizen K), Juliette Faliu (Poivre Bleu), Nicolas Olczyk (Rouge Curaçao, Osmoz), Thierry Blondeau (Olfactorum), Alexis Toublanc (Dr Jicky & Mr Phoebus). 10 journalists : Lili Barbery-Coulon (M le magazine du Monde), Johanne Courbatère (Les Echos Série limitée),Laurence Férat (Le Figaro), Marie-Bénédicte Gauthier (Voici), Karine Grunebaum (Version Fémina, Gala), Laurence Hovart (Numéro), Antigone Schilling (Faux Q, slate.fr), Lionel Paillès (Grazia, Lui…), Jean-Luc Suchet (Voici), Sylvie Vaz (Cosmétique Mag). How interesting. I tried Ylang 49 a few weeks ago and liked it a lot, I could imagine it doing well here too. In the big brand exclusive short list I don't know many, but feel that Epice Marine is the one sticking out. I trust you had fun sniffing, and I hope you'll let us know your own favourites in due course, if you are allowed to share that info, of course. It's always interesting to do the bling-smelling session... While journalists and bloggers focused on recognizing the products first, then discussed them, while evaluators didn't really take that under consideration. Five of my first-round votes were in the short-lists, is all I can say! So I'll name the only one I know I like - Dries van noten from FM (I am so rooting against Ylang 49, you have no idea!). I liked the backstory for epice marine, so I'll choose that one from the second cathergory, even if me and hermes are not meant to be! Interesting that Ylang 49 would arouse such passionate dislike! 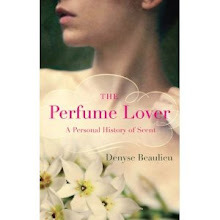 Personally it was the only perfume I actually asked for as a gift (from a man, I mean, I didn't pester Le Labo for it!) in... quite a few years, actually! I'm sorry to repeat Zazie, but I have to go with Dries Van Noten and Epice Marine as well. I have not sniffed all of these, but of the ones I have, these two stood out. I also share a strong dislike of ylang 49. Oh, Ylang 49 is definitely a love/hate fragrance, I hadn't realized since all the French bloggers I know love it. Just goes to show that at least it has character! I don't know who the winner will be, and I haven't smelled all of these, so I am just going to go with what I like! :-) I'm going to say Dries Van Noten for FM and Dior's Gris Montaigne, which I think is just beautiful. Ashley, that's the best way to go. They certainly have their chances! Black and Tobacco Oud, I'll say. E spero che tutto vada bene per te! Moira, che piacere! Anche se non ti scrivo, ti penso. Ti scrivero tra poco, va tutto benissimo, ma ho troppo lavoro! Mi piacciono anche a me Black e Tobacco Oud. And that is the extent of the Italian I can squeeze out at this hour, except: un bacione! My guess for the two winners would be Dries van Noten and Epice Marine. I quite like 1932 too when I tried it. Looking at the list, I realize I have not tried almost half of the nominees. I should really get busy sniffing soon! Well, at least with this type of short list you can be sure several people found them interesting, so it's a good start! I have not tried many of these either, though I recognize the names from my to-sniff list :) That said, I will choose Ylang 49 and Epice Marine, for the two that sound the most interesting and thought-provoking to me! Thank you Yuki. They are certainly that! I'll make a complete blind guess as I haven't tried any of these; how about Dries van Noten and 1932. Good luck, everyone! Well at least if you win you'll have the opportunity of discovering your lucky guesses! Thank you for your input Annie! I have tried only two of these, Dries van Noten par FM and 1932. I would guess Dries van Noten par FM and Epice Marine by Hèrmes as the winners. The Dries van Noten is very interesting, but stays too close to the skin for my personal liking. 1932 is a scent I guess would appeal to a large number of people, but it seems sooo very safe, nearly boring. I had that issue with the Dries as well, though apparently other people could smell it on me. In fact, 1932 also did that! I agree it is safe, but I do find it exquisite and indeed, it's also safe in the sense that on days when I don't know what to spritz, I'd go for 1932. The jurors were at different tables so I don't know what everyone said... Certainly bloggers and journalists took brands into account as one of the factors, while evaluators focused on construction.